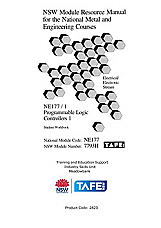 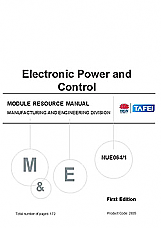 This learner guide provides the learner with skills in the area of discrete control and to introduce the requirements to be employed when installing Programmable Logic Controllers. 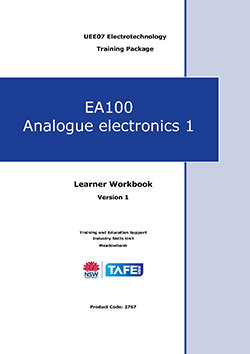 This learner guide assists learners to distinguish between analog and digital systems, describe number systems and predict the outputs of simple combinational circuits constructed using discrete logic gates. 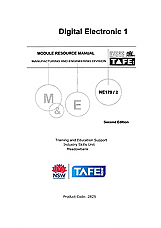 This learner guide assists learners to analyse and design simple digital systems (not exceeding three MSI devices). 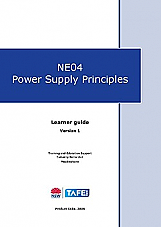 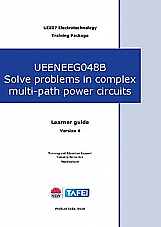 This learner guide provides the learner with the knowledge of common electronic devices and circuits used for power and control. 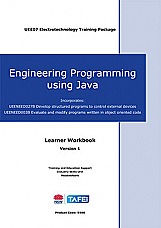 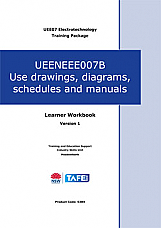 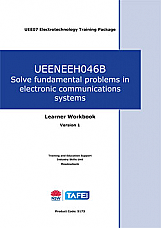 This learner workbook fulfils the requirements of the national units of competence UEENEED027B Develop structured programs to control external devices and UEENEED003B Evaluate and modify programs written in object oriented code, which are part of the UEE07 Electrotechnology Industry Training Package.